Randy Falk, NECA Director of Product Development, spent some time with members of our team to discuss their Round 1 Street Fighter IV Collectibles: Ryu, Ken and C.Viper. SFD: Hello! Thank you very much for taking your time to speak with us. Can we start by introducing yourselves and telling us what you do? RANDY: I�m Randy Falk, Director of Product Development for NECA. I oversee all the action figure development from concept to final product on shelves. I have been with NECA for 7 years now and I�ve been able to help create action figures and collectibles from some of the greatest movies and video games of all time. MELOFIRO: Can you please tell us a bit about NECA? What is your company goal? RANDY: We�re a collectibles manufacturer that specializes in cool licenses with an edge. We have been fortunate enough to work with some of the most prolific directors like Quentin Tarantino, Robert Rodriguez, Zack Snyder, Tim Burton, Rob Zombie. Along with the movie licenses we�ve expanded heavily into the video game arena and have been equally as fortunate to work with Epic, Capcom, Eidos, Ubi-Soft, EA, and more. Our goal is to offer quality figures and collectibles at an affordable price. MELOFIRO: How many people are involved in the making of each action figure? Can you tell us a bit about the creative process? RANDY: Our core team for the action figures consists of about 10 people, initially I work with the licensors on defining the concept, pose, and features of the figures along with gathering reference for the sculptors and then the sculpting process begins. On our first series of SF4 figure we had 3 sculptors working on them simultaneously. All of our sculpting is done traditionally, the sculpts are created using Castilene, a wax-based sculpting material. We determine articulation points during the concept and rough-out phase where the sculptor is trying to match the basic body shapes and proportions. During the sculpting process our photographer takes approval shots that we submit to Capcom US and Capcom Japan for comments. Once the sculpts are complete they are molded and cast by our mold maker and then our 2 painters assemble and paint the figures. Our photographer then takes 360 degree turn-around of the painted prototypes for final approval from Capcom. Once everything is approved we send 2 copies of the completed models (painted and unpainted) to our factories in China to begin the tooling process for mass production. During the tooling phase is where the actual steel molds are cut. This usually takes about 3-4 months so during this time we design packaging and photograph the original prototypes along with the pre-production toy samples. These additional photos are used for sales solicitations, catalogs, press, and the packaging itself. During the tooling phase we continually receive test shots and first shot samples of the plastic figures on a weekly basis from our vendors in China so that we can review and troubleshoot any QC problems or issues. 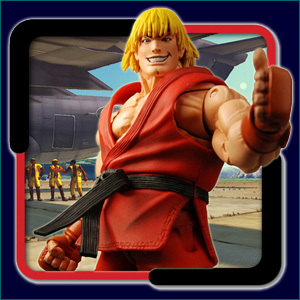 We started our SF4 sculpts in late July and we hit retail in early January, roughly a 5 � 6 month turn-around which is a very quick production cycle in the toy business. SFD: How many Street Fighter IV characters will be available in your first set of collectibles, and when will we be able to get our hands on them? 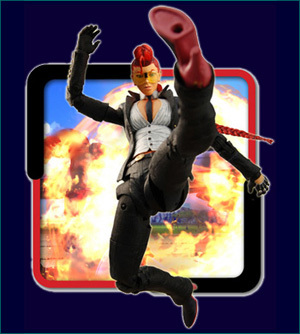 RANDY: Series 1 is at retail now and includes Ken, Ryu, and Crimson Viper. They stand 6.5� to 7� tall and have loads of articulation and interchangeable hands. They are available at Toys R Us, Amazon, Hot Topic, Spencer�s, FYE, and comic book and specialty stores everywhere. QUAN: When will the next set of characters be available? May we ask which characters they are? RANDY: The second series is planned for Late Spring and may include Chun Li, Guile, and Akuma (this is a tentative lineup and is subject to change). 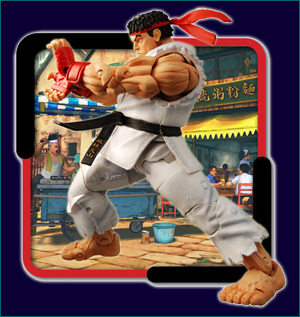 For the future we are considering either a �Best of� or �Greatest Hits� assortment that will feature new head sculpts and Player 2 colors and hopefully more fighters in future series. QUAN: Are your designs based on existing official artwork or do you take your own approach? 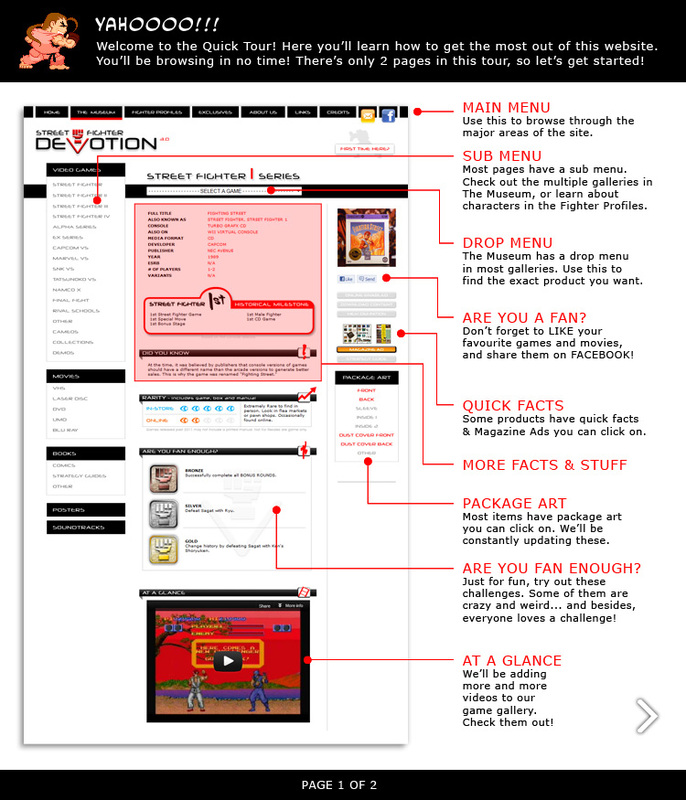 RANDY: Our designs come directly from the designs in SF4, there is no room for artistic interpretation on our part. 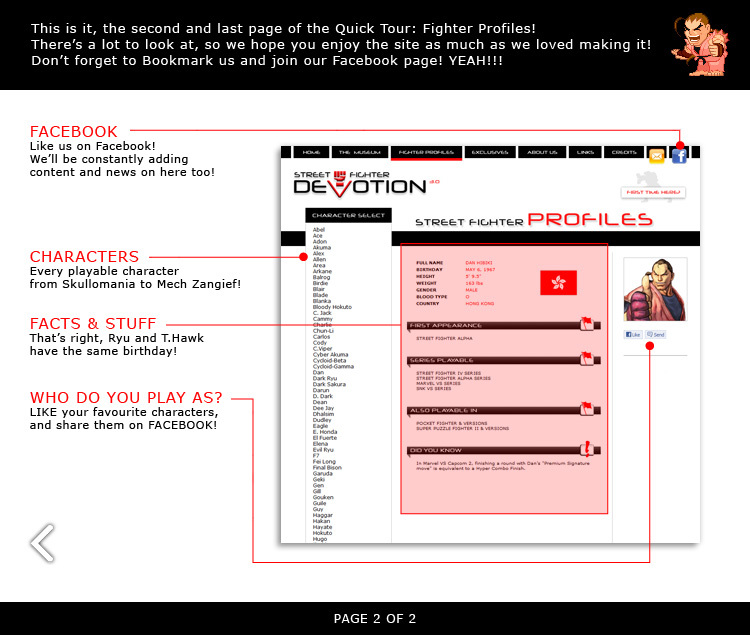 We want to match what you see and play on screen in SF4 and that is what we have done. We use 1000�s of screen shots, gameplay footage, and Capcom gave us access to their XSI files which we also study to make sure we get the proportions and attitude of each character correct. The important thing for fans to remember is we are making figures from Street Fighter 4, not 2 or Turbo, or any other incarnation. This is Street Fighter 4 and the characters are different. QUAN: Do you plan on going beyond the Street Fighter IV roster? RANDY: Well since the roster of SF4 has like 30 characters plus alternate costumes and Player 2 colors I don�t think we need to go beyond it. The bigger question will be how far we get to go into the selection of fighters. Of course I would love to do them all but it is not economically feasible. If fans and retail support the line though hopefully we can cover most of the favorites and some of the new characters too. SFD: What is it like working with CAPCOM? RANDY: Working with Capcom has been great but it is not without it�s challenges. Logistically the design teams and producers are in Japan and the licensing and marketing folks are in the U.S. so we have a time and language barrier to contend with plus it is not also easy to get reference as quickly as we need it since the priority for the producers is getting the game completed on time. All of which is totally understandable and Capcom U.S. really worked hard to get us what we needed. We could not have done it without the help of Francis Mao, Josh Austin, Germaine Gioia, Grant Luke, and Amelia Denegre. SFD: And finally, what other collectibles would you recommend to fans of your NECA toy line? RANDY: We have a lot of great game-based toy lines out right now including Gears of War, Bionic Commando, Ninja Gaiden, and coming this Spring Resident Evil 5 and Dead Space plus loads more in 2009. We will be unveiling many new figures and prototypes at the International Toy Fair Feb. 15th � 18th. SFD: Thank you again. These action figures look fantastic, and we can't wait to get our hands on them! RANDY: You�re very welcome. Thank you for the interest and support and for helping to spread the word on our Street Fighter 4 line.